Some have called it the underwater mecca of the world, the last paradise on earth, underwater fish factory and many others. One thing is for sure, marine scientists agree Raja Ampat is a home to the world’s richest reefs and diversities. 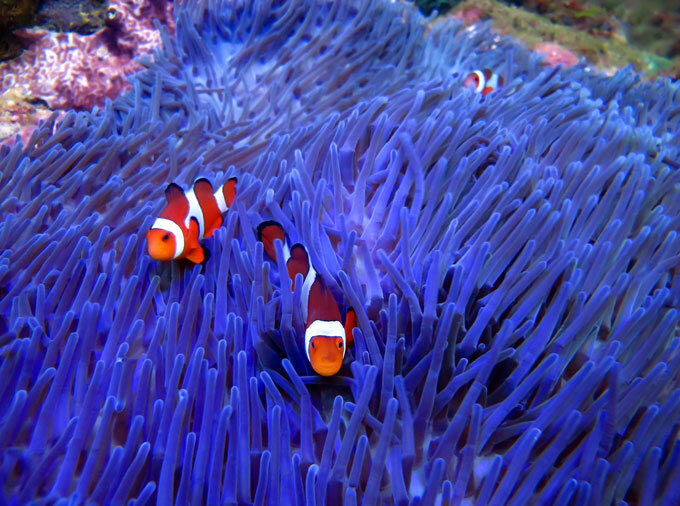 The last counts in 2012 is 600 species of corals and 1,669 species of fish. 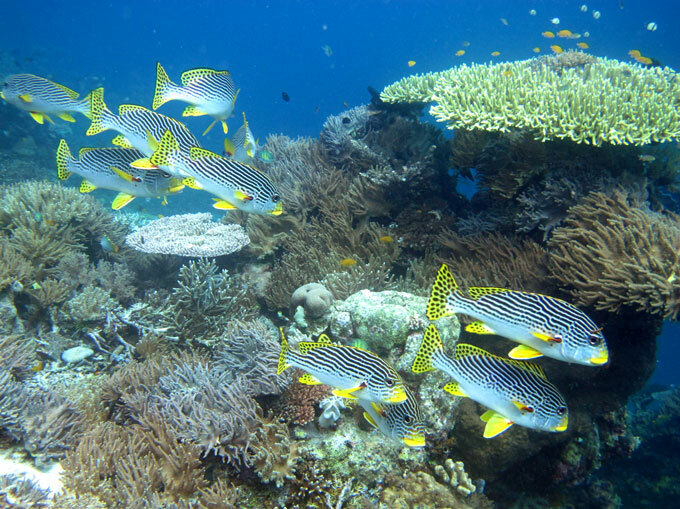 Since being given its designation as marine sanctuary in 2006 and the ban of industrial trawler fishing, the marine life and biodiversity in Raja Ampat has flourished. Big fish are coming back in large numbers, curious mammals such as dolphins and whales are seen returning to the area as an active feeding area. Whether you are here for underwater photography, thrill seeking, current diving, or as a fun diver looking for solitude above and under sea level, you have found the right place. We are right in the middle of the famous dive sites in the north of Raja Ampat. Our house reef is a rare spot in Raja Ampat where you can see dolphins and whales working together foraging food. 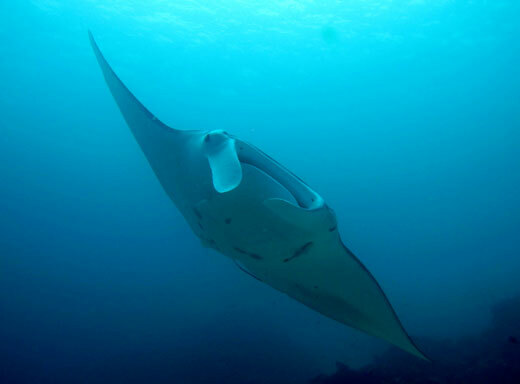 Reef sharks and turtles frequent this area, manta rays are often seen taking a nap on the seabed. We keep small ratio divers to guide to 4:1 so that everyone have quality diving experience. Our local guides, who are familiar with the coral areas, water conditions and current movements to keep you focused on the beauty around you. The flat and calm water condition in Raja Ampat making it perfect place for all level of snorkelers. Overgrown reefs are common and during low tide you’ll be able to see how these corals took shape over hundred of years. We also provide daily boat trip to various snorkeling sites. Enjoy the sightings of green turtles, huge schools of barracuda, manta rays, reef sharks and colourful reefs. Drift along the nearby mangrove, a breeding ground of black tip sharks and home of ‘walking’ Epaulette Shark, a species only found in Raja Ampat. The local reef (right outside your door!) 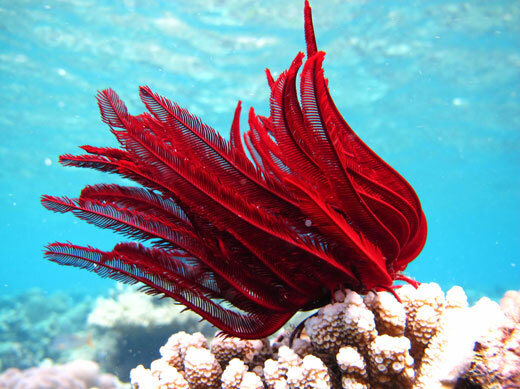 is recommended for snorkelers and divers with its rich systems of soft and hard corals. Snorkelers are encouraged to wear protective layer of clothing or sunscreen lotion to protect skin from sunburn. Please do not try to interact with dolphins and whales or disturb their natural behaviours. Huge population of jellyfish in Gam bay, this area is hidden among lime rocks surrounding the bay. They are completely harmless and snorkeling here alone give you a feeling you are in a different world. The best time to visit is in mid afternoon as the jellyfish like to appear en masse to take advantage of the tropical sun. Our village Yenbuba is less than 200 m from the guesthouse. We can take you to the village during low tide. You are more than welcome to visit our home. This tour is free. You can rent one of our outrigger canoe with or without guide for a day tour around island. Our experience guide can take you canoeing between Kri and Mansuar to explore small bays, beautiful mangrove and shallow reefs where you can meet baby sharks and manta rays. You will be amazed to see the beauty of Cendrawasih, also known the bird of paradise. Prepare your long lens SLR digital camera for pictures that will make you feel like you’re part of National Geographic. The best time to see them is early in the morning. We will leave for Sawinggrai village around 20 minutes of boat ride follow with a short walk to the jungle. This trip require a stamina and not for someone prone with seasick. You will leave in the morning with a local fisherman to fish in the traditional outrigger equipped with small outboard engine. You will spend entire day in the sea chasing school of yellowfin tuna. The fisherman will only return once he has catch enough fish. Hat, sun block lotion, water, some food, proper clothing to protect skin from sunburn is a must.